How do I attend Canton Fair 2019? 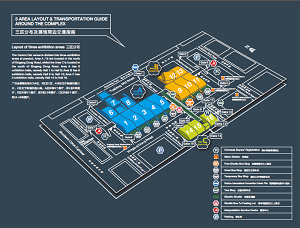 The Buyer card(badge) is the only official admission to Canton Fair. It is valid for years multiple sessions of the fair. 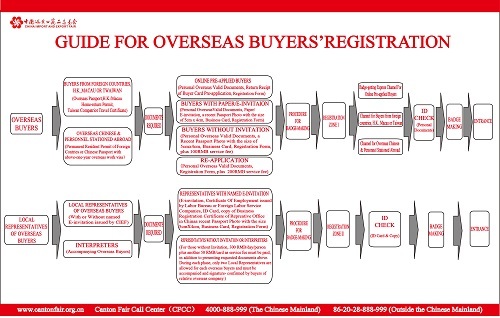 The only place to get the buyer card is the registration office. Pre-register online will save you time and money. Who from countries without The visa-free policy of China, please apply for a Chinese visa(any type, usually "M") with the Invitation to the Canton Fair before you go to China. The official Canton Fair invitation list only the Buyer's Name, Nationality and Company Name. Usually, an invitation from any Chinese factories or foreign trade corporations (enterprises) more works for Chinese visa application. The Embassy or Consulate General of P.R.China in your country（Missions Overseas）. Each country is different, please contact to get more information. Lots of paperwork but cost less money. The local travel agency or Visa agency. It will cost some money, please search online for each country. The Chinese Embassy is very busy, and they often want you to have a professional agent to help with the visa business. That's why it can be so difficult to do it by yourself. Fair visitors can also entrust the visa application to China Travel Service (Hong Kong) Ltd. (Add: 1/F., Alpha House, 27-33 Nathan Rd., Kowloon, Hong Kong，Tel: 852-2315 7150, Fax: 852-2315 7292). a. Buyers who need to leave Mainland China to Hong Kong, Macau, and come back again to Guangzhou, must apply for a multi-entry visa. b. It is very hard to extend the visa and apply for a new visa in China mainland, we suggest applying it by going to Hong Kong. c. If you already flight to China without a Chinese Visa, you will be sent to Hong Kong. The Buyer card(badge) is the only official admission to Canton Fair. It is valid for years multiple sessions of the fair. The only place to get the buyer badge must be at Canton Fair Registration office, pre-register online will save everybody's register time. Pre-registration for the 125th Canton Fair and pre-apply badge Now! Pre-applied buyers don't need to give photos. The badge can be effectively used for multiple sessions, re-application due to losing or forgetting taking it will be charged 200RMB, kindly keep it safe. The old badge would become invalid right after re-application, please ensure the badge you wear is the newest. a. Personal documents (More details please see notes). Personal document. Include Overseas Passport(not China Passport), Hong Kong/ Macao Home-return Permit or I.D. Card, Taiwan Compatriot Travel Certificate, valid documents for overseas Chinese or a Chinese passport with the valid overseas employment visa valid for over one year. The personal photo 5cm X 4cm (or cost 30RMB when register). If you have got a Buyer’s IC Card, please be informed that: The Entry Badge (IC Card) is valid for the upcoming sessions of the Fair, which surely saves your time with an easy access. If you forget to bring the Card or lost it, re-application will cost you 150 RMB/card as a service fee. 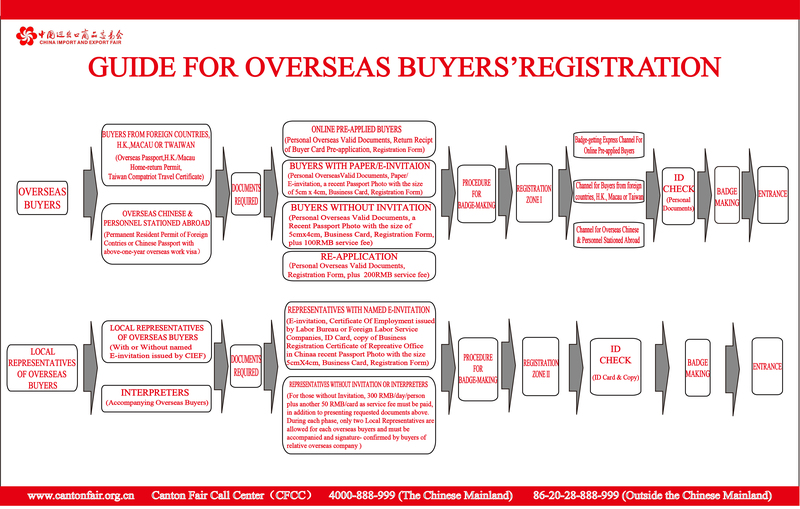 Buyer Card is the only official admission to the Fair and is available at China Import and Export Fair Complex. However, to save your time and make the registration easier, we now set 31 Overseas Buyers’ Registration Office at appointed hotels. 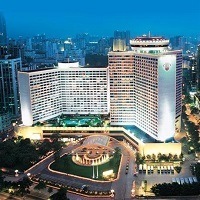 And we strongly suggest you get Canton Fair entry badge in these 31 hotels, considering the registration peak hour that occurs at 9:30 am 12:00 am at China Import and Export Fair Complex. Definitely, it is the best way for you also, for the buyers who stay near these areas, please register in hotels too. FAQ: How to get the buyer badge?